The Hermosa is the newest addition to our album collection. It is far beyond any other peel-n-stick album in style and quality. 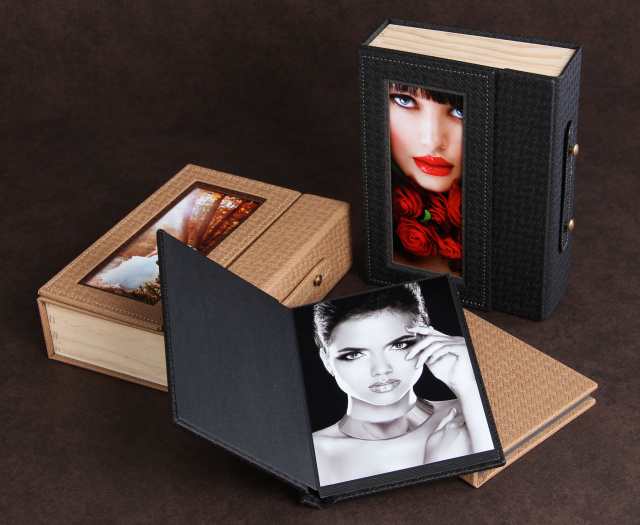 The Hermosa is made of a very unique cross-hatch material and houses a repositionable 5x7 album in your choice of 5 pages (10 photographs) or 10 pages (20 photographs). The fact that this album is repositionable makes it impossible to mess it up. 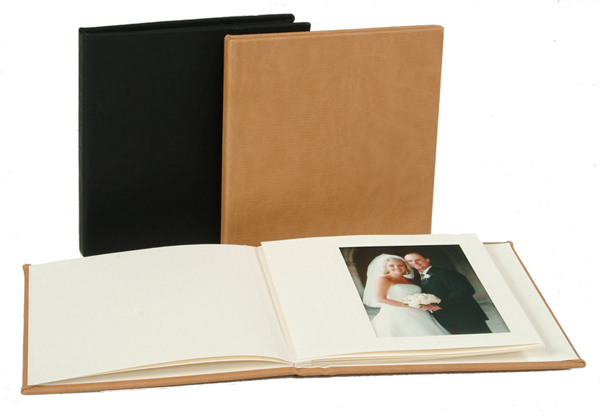 If you place the photograph on the page and it is not straight or you want to change the photograph at a later date, you can do so without damaging the album or photograph. We have been testing this technology for over 10 years. 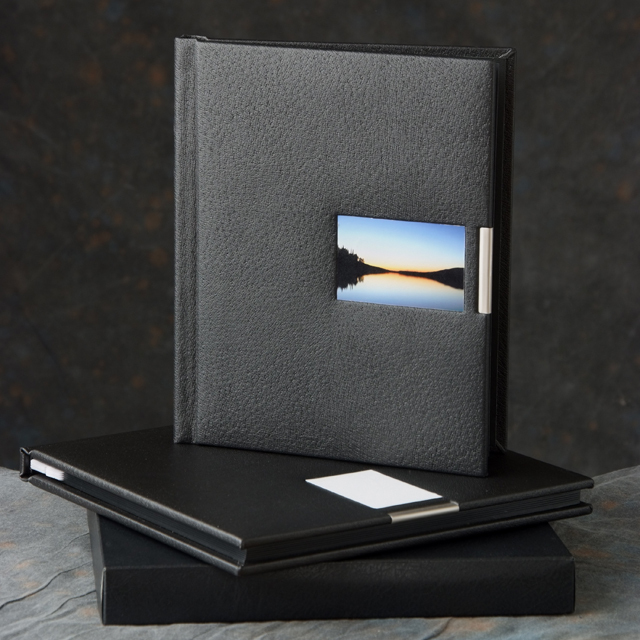 The Summit is the newest and most advanced peel and stick album available. The Summit can be fully assembled in 15 minutes. 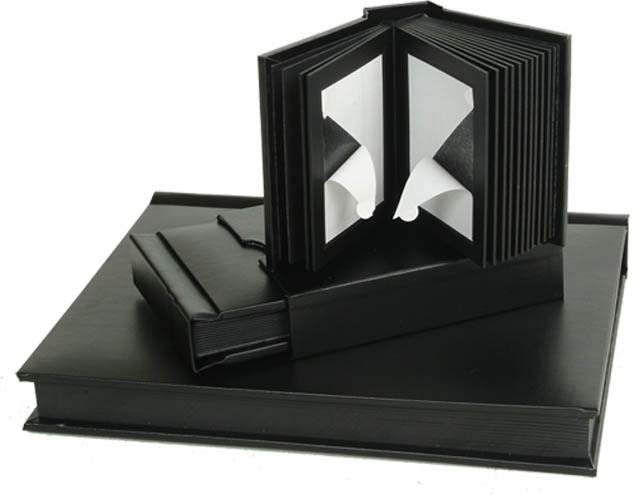 It is artistically gilded, has a lay-flat design, a 1mm gap between pages and comes standard with the deluxe album case. This album competes against high end flush bound albums at half the price. 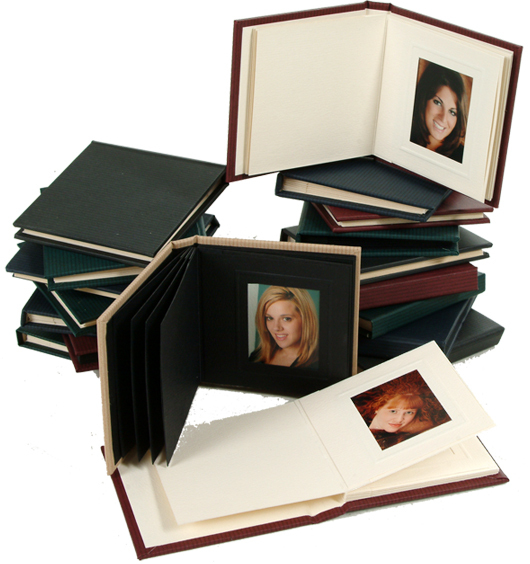 Send us your photographs and we will assemble this album at no additional charge. 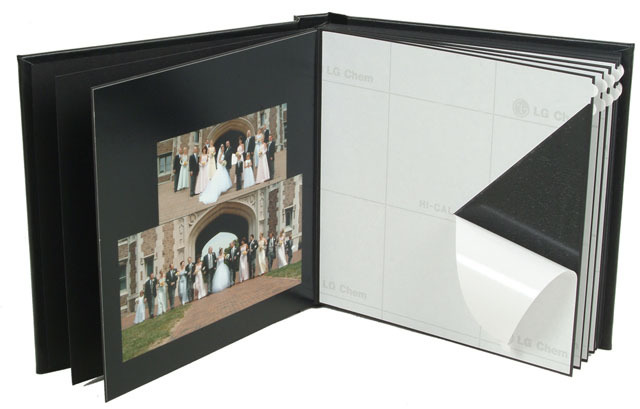 The Destiny is every photographer's dream; a do-it-yourself flush mount album. 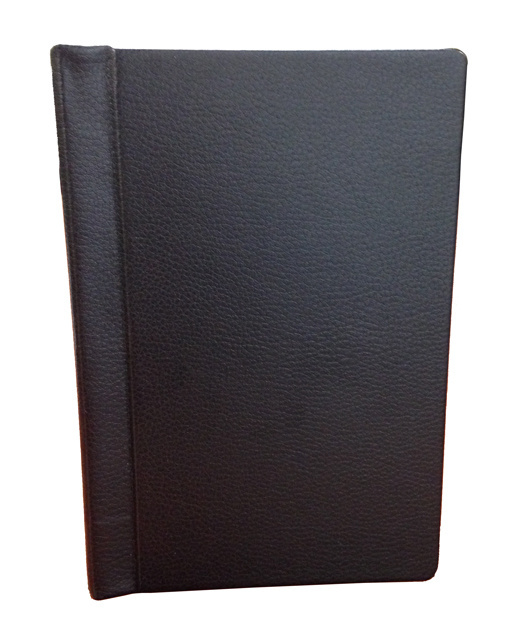 It is beautifully handcrafted bonded leather and easy to assemble. Each Destiny includes a slip-in hard case and is currently available in 12x12, 11x14, 10x10, 8x10, 8x8, 5x7, 5x5, 4x6, and wallet sizes. The Legend Album Line has been discontinued. Enjoy 55% off these wonderful albums while supplies last. The Legend carries the same quality and craftsmenship as the Destiny, yet has a frame around the photograph for a simple yet elegant presentation. 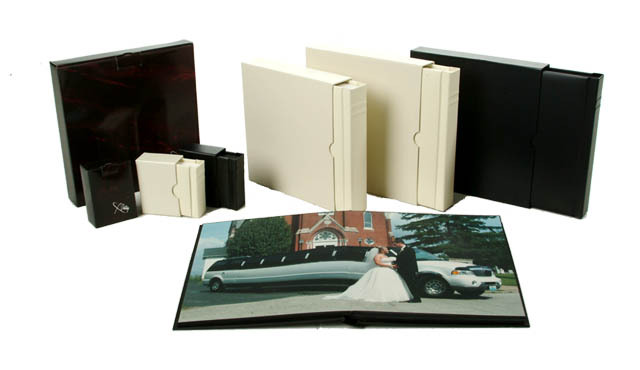 Both albums can be fully assembled in less than 20 minutes. The Eclipse Album is made with the same technology as our Summit and Platinum Album, which only have a 1mm gap between pages. 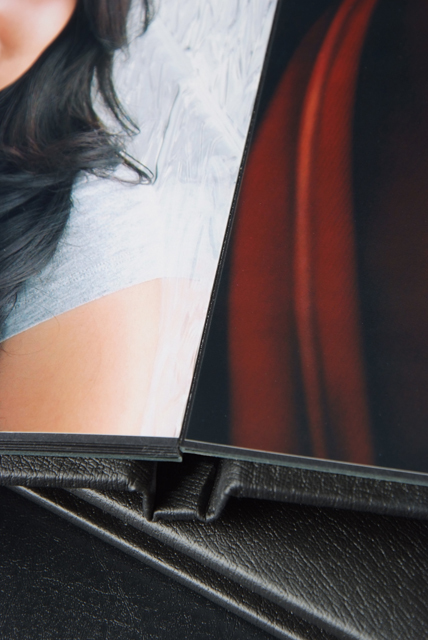 The Eclipse has black gilded edges, lay-flat pages, a 1mm gutter, and comes standard with the deluxe album case. Our new Platinum Album is offered in 8x8, 8x10 and 10x10 and has 5, 10 or 15 pages. 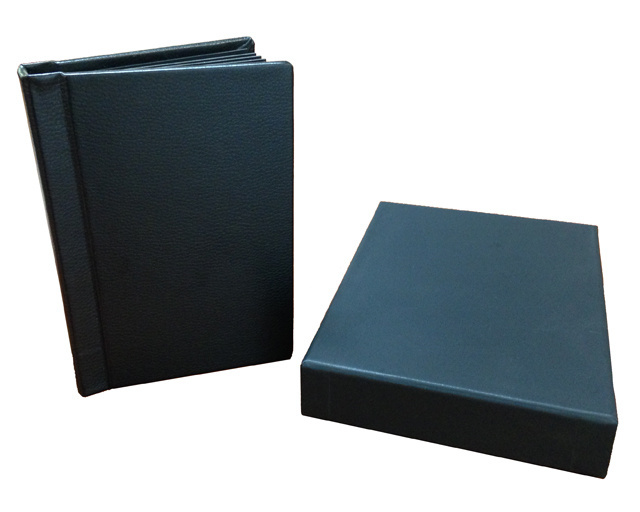 Each album has black gilding, a lay-flat design, a 1mm gap between pages and comes with a presentation box. The Platinum and Summit Albums have the closest center gap for Peel-n-Stick albums. 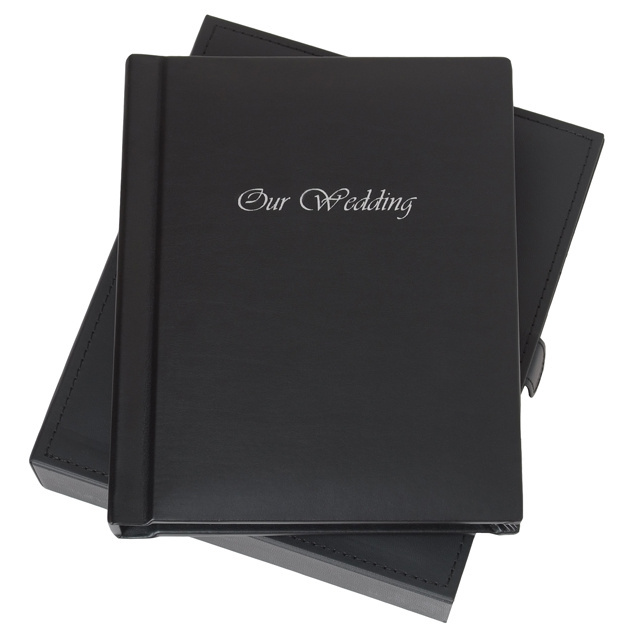 Our guest books range from 3x3 to 10x10. 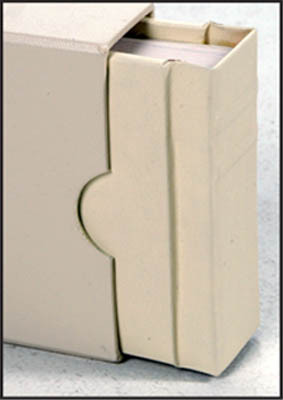 Colors include Black, White, Tan, Ivory, Light Gray, Dark Gray, Burgundy, Green and Navy. 50% OFF WHEN BUYING 15 OR MORE. Print & Bind service not available.